Black Summer is the new Netflix zombie series. It’s actually a Z Nation prequel spin-off but you can watch it completely on its own. Find out if you should give the new Netflix horror drama a chance in this review! 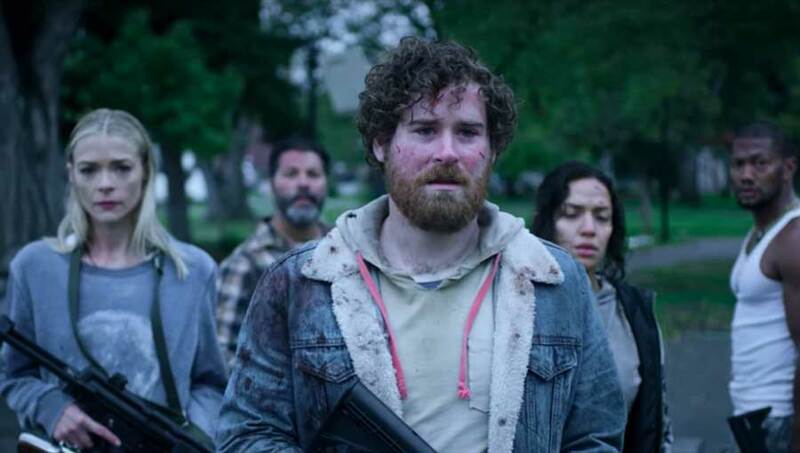 Black Summer is a new Netflix zombie series made by two of the producers (and writers) of Z Nation. This new Netflix series is a spin-off from Z Nation but one that stands completely on its own. Especially since it’s actually a prequel. In that sense, it’s a lot like Fear the Walking Dead was a prequel to The Walking Dead. This allowed us to see how the world we know in real life turned into the zombie-infested world in The Walking Dead. I haven’t watched Z Nation so I can’t tell you how it compares or fits with the narrative of that show. However, I do know that Z Nation has quite a lot of comedy. Black Summer does not! Still, I think Black Summer is worth watching if you like zombie movies and series. Find out what to expect from the new Netflix horror drama in this review! The opening segment of Black Summer episode one feels like something straight out of Dawn of the Dead. We’re in a suburban neighborhood and it all feels very familiar. However, rather than experiencing the outbreak, Black Summer begins a few weeks later when people are preparing for evacuation. The entire opening segment will probably annoy and anger you. I know I was pretty pissed off after witnessing the beginning of the storyline for Rose (Jaime King). For the record, she is not actually the “star” of this Netflix series. Instead, she’s one of many lead characters. In episode one, we’re introduced to the story via segments named after characters. We have Rose, Ryan, Barbara, Lance, and Spears. Once episode 2 begins, the segments are named after the scenery or events since several people have teamed up. The segments of episode 2 have names that are more and more ominous sounding. Which is very appropriate. The segments of episode 2 are called: Drive, Nature Show, Bicycle, The Others, Follower, and Last Stop. I’ll be very honest with you; Episode 1 of Black Summer did not win me over. In fact, I was very irritated and angry with many of the characters. Then again, I do recognize that we had to be introduced to many characters and have an idea of their personality. This means they act in somewhat extreme ways. Also, the zombies are fast. We’re talking World War z and Train to Busan fast! And what’s even worse is the fact that they turn very quickly. If they get bitten then the change is fast and if a person dies (for whatever reason), they return immediately as a zombie. Once episode 2 begins, the story of Black Summer takes off more and the rather short (35 minutes) episode is both engaging and moreish. Episode 1 is less than 10 minutes longer, but it dragged along and felt much longer! What I did enjoy about episode 1 was the fact that the story follows people and not in a chronological order. You’ll be able to keep up with the plot if you just pay attention to the people in the background. And before the episode is over, we’re all up to speed and in the same present. Also, before episode 2 is over, I can tell you that Sun (Christine Lee) became my favorite character. Her name is actually Kyung-son but the Americans struggle with this, so she goes with the name “Sun” instead. She doesn’t speak much English, but she’s learning – and can sing in English – and does seem to understand most of it. Generally, Christine Lee is perfect as Sun. And Sun is all kinds of awesome! However, don’t get too attached to any one character in Black Summer because they will drop like flies. Seriously, even those who have segments named after them in episode 1 are not safe. At all. 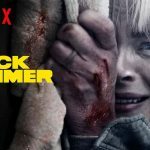 Watch Black Summer on Netflix now! Season 1 of Black Summer is out on Netflix now with a full season. Season 1 consists of 8 episodes which makes this one of the shorter Netflix seasons. Also, it obviously means you can easily binge-watch this over the weekend and avoid too many spoilers. The creators of Black Summer are John Hyams and Karl Schaefer. Both worked as producers and writers on Z Nation. Karl Schaefer was even one of the creators along with Craig Engler. And yes, Engler is also onboard the Black Summer team as an executive producer. Any fan of horror and zombie series should absolutely give Black Summer a shot. Also, there’s a good diversity in characters in most ways, so check it out. Season 1 is 8 episodes and hopefully, we won’t have to wait too long for season 2 to be greenlit. If you start watching Black Summer and enjoy the show, then make sure you watch it fast. This always helps series get approved for more seasons and I would definitely love a season 2 of Black Summer! 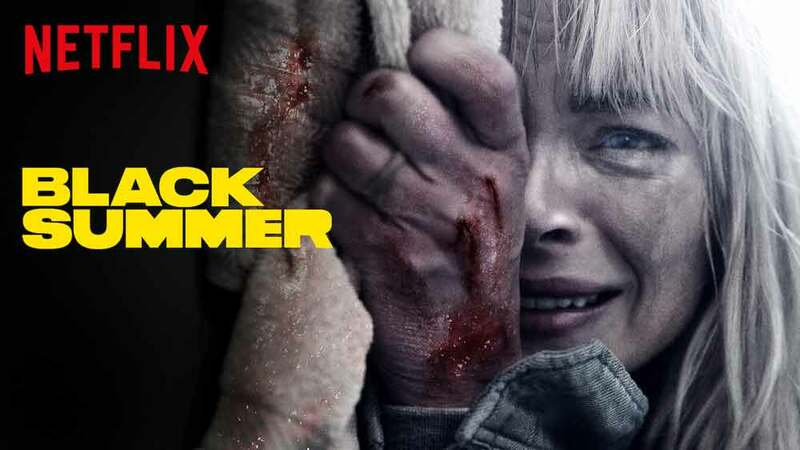 Black Summer is out on Netflix with season 1 from April 11, 2019.